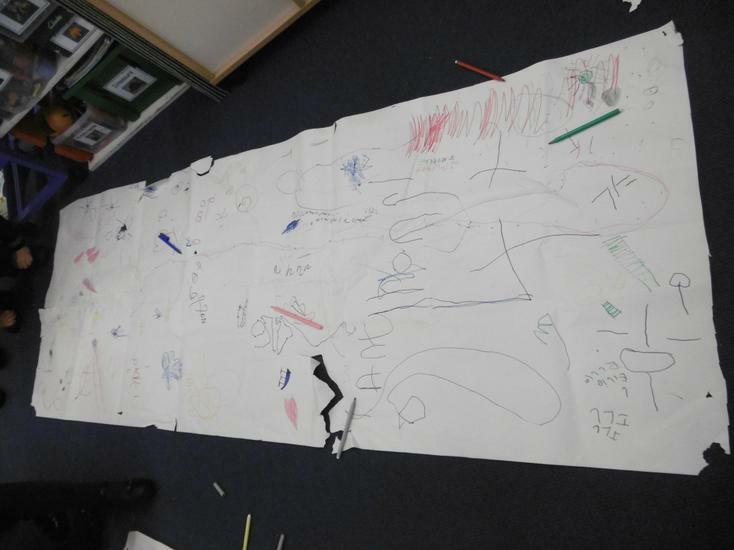 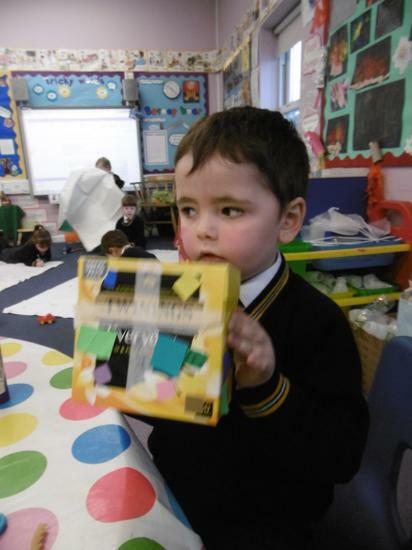 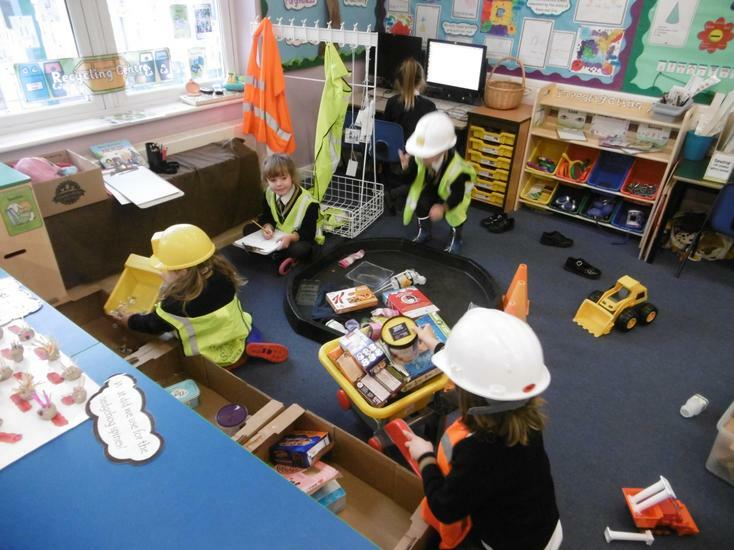 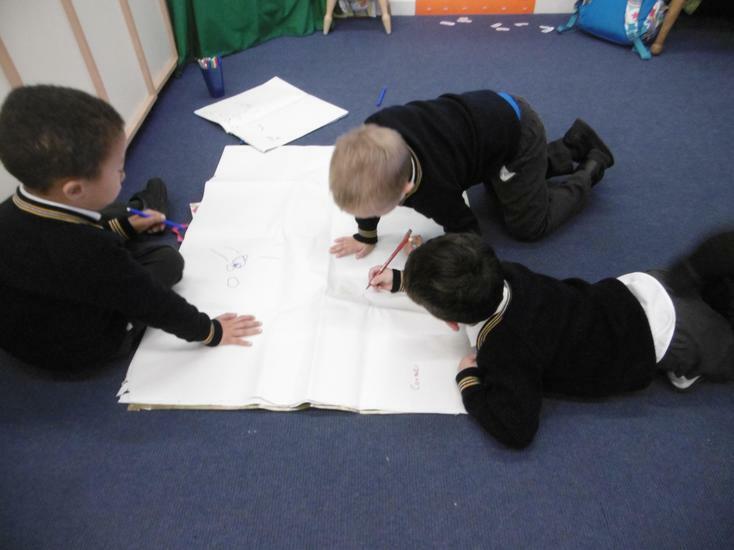 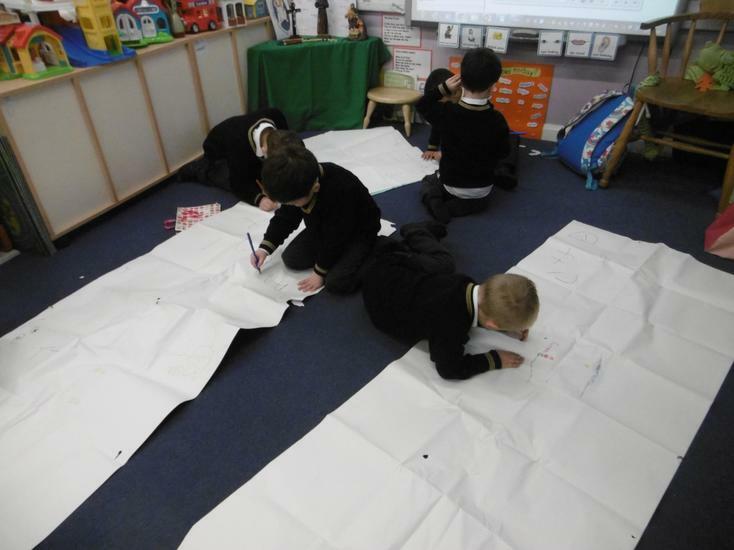 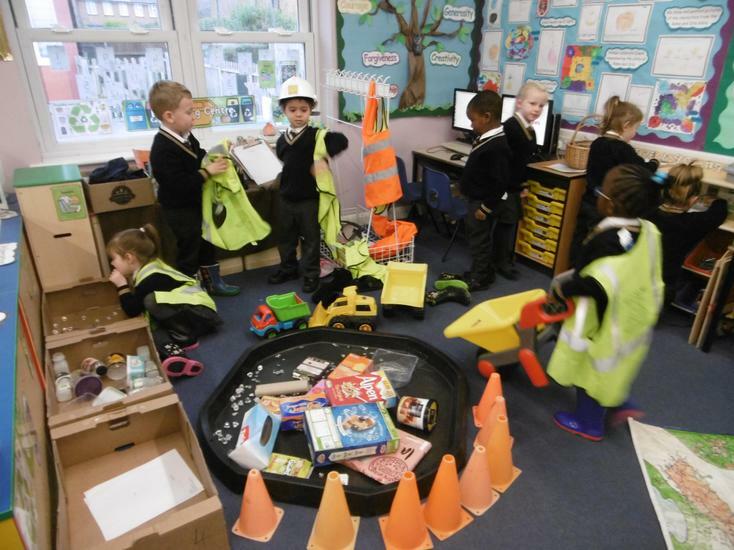 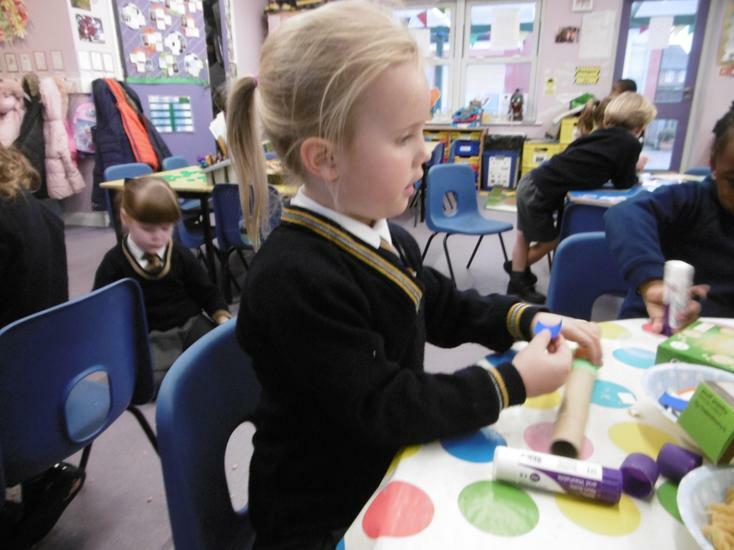 In Rainbows, we explored the 3Rs across all areas of the curriculum, from the Recycling Centre Role Play area to using large sheets of old scrap paper to draw and mark make on, we've been reusing materials and trying to reduce the amount of paper and new resources we use. 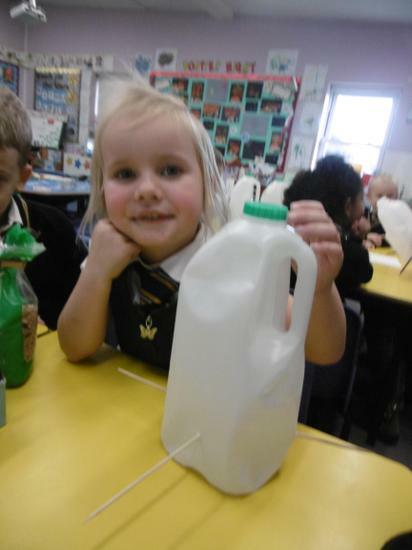 We also sorted rubbish items into the correct bins, used old milk bottles and their lids to order numbers and make words and built a lot of fantastic 'junk' models. 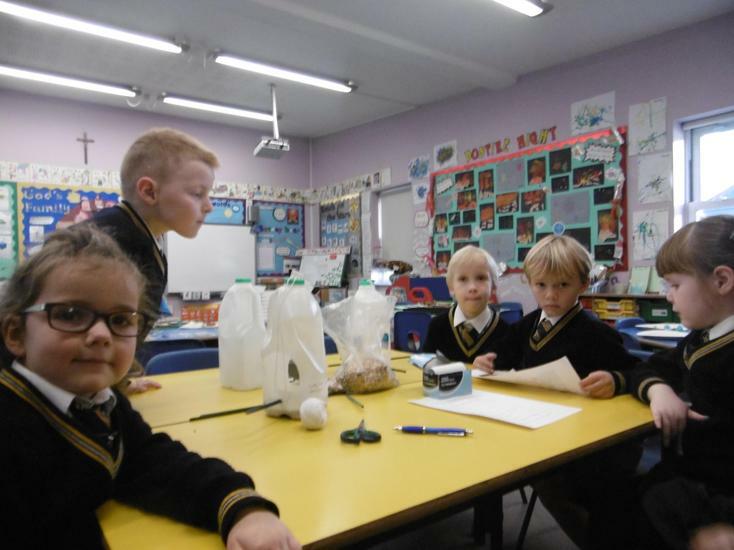 As part of our 'Green week' focus, the class listened to the story of the 'Messy Magpie', a story about the importance of looking after our environment. 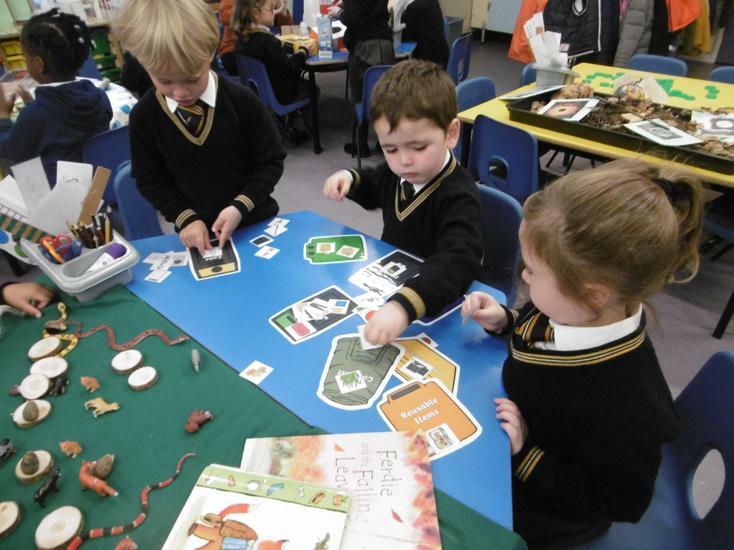 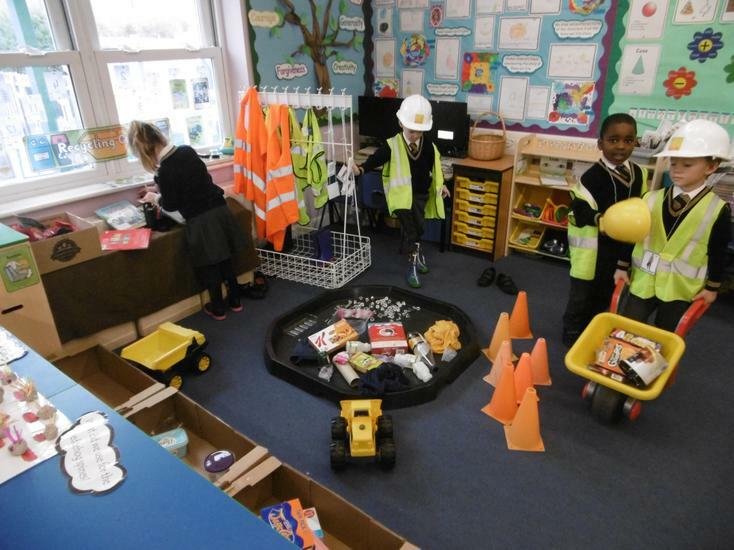 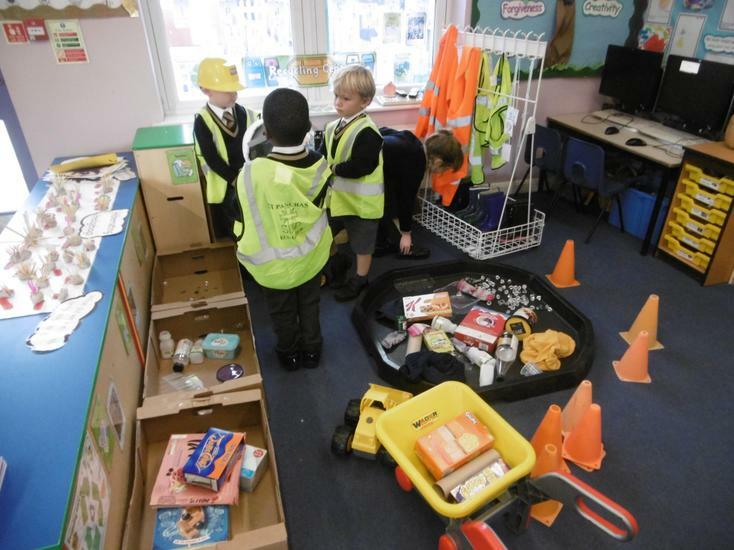 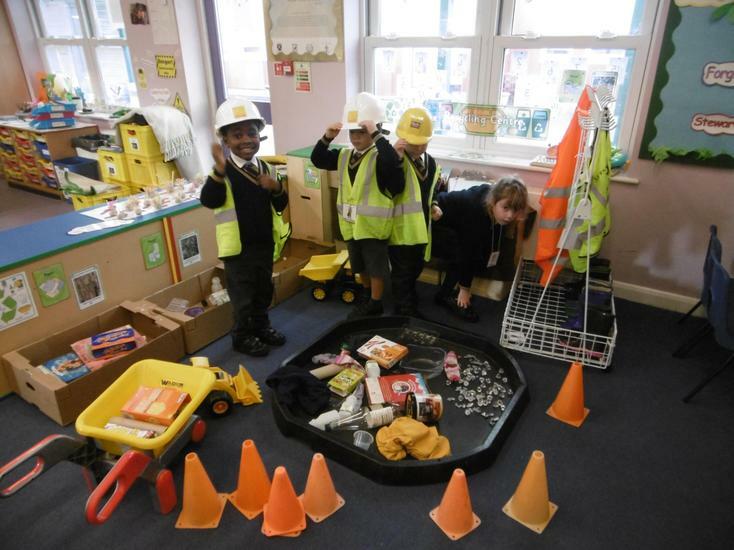 The children gave some great ideas and thought about the different materials we could recycle, what happens to those materials, as well as ways to keep our environment clean. 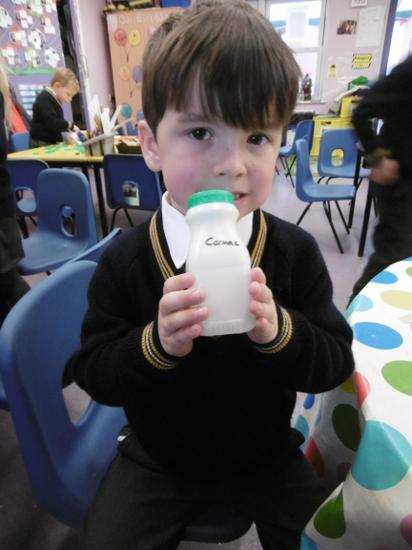 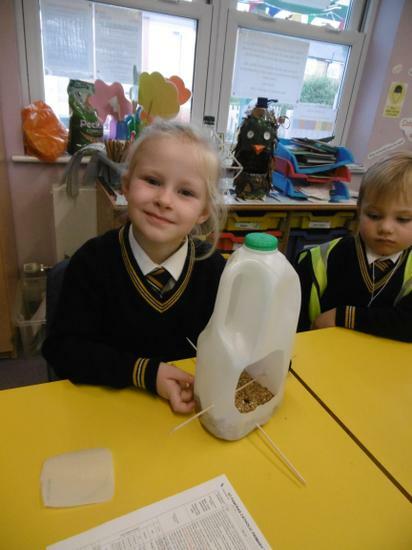 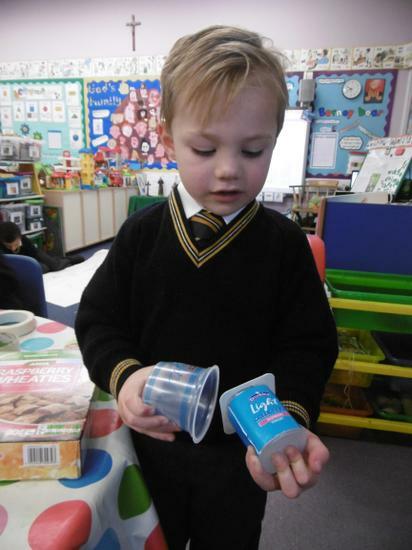 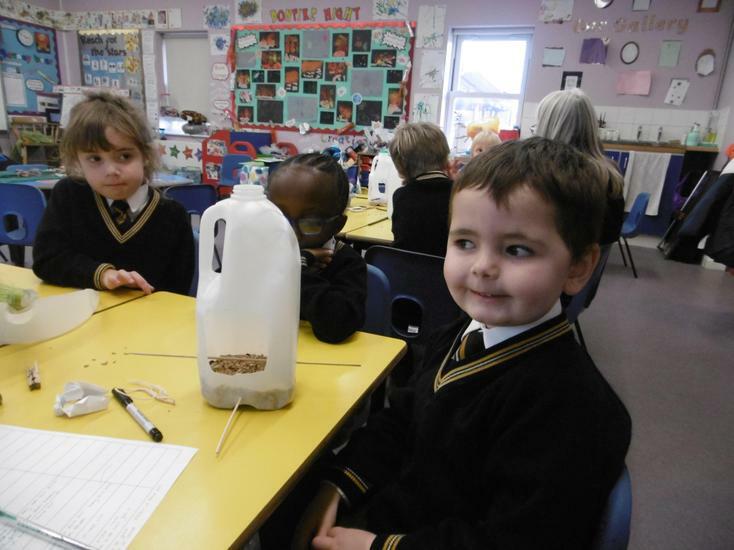 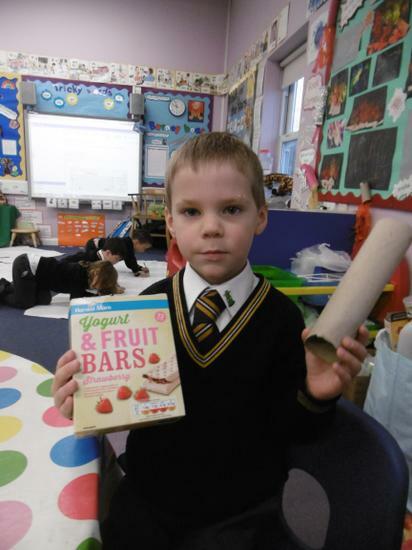 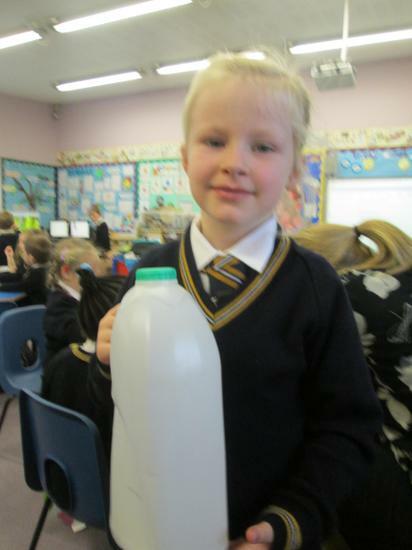 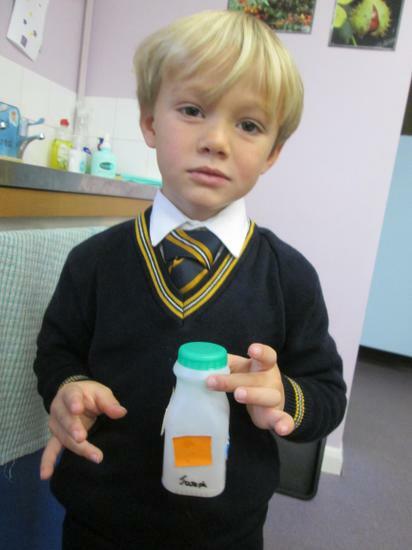 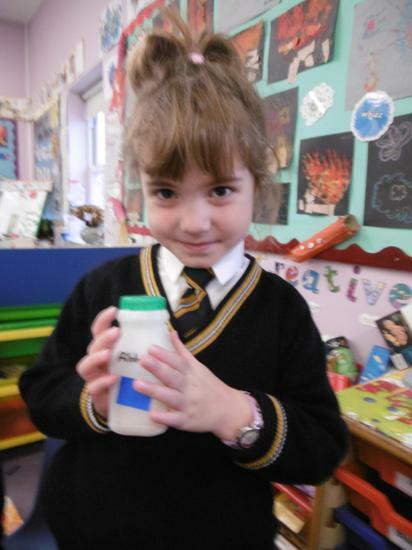 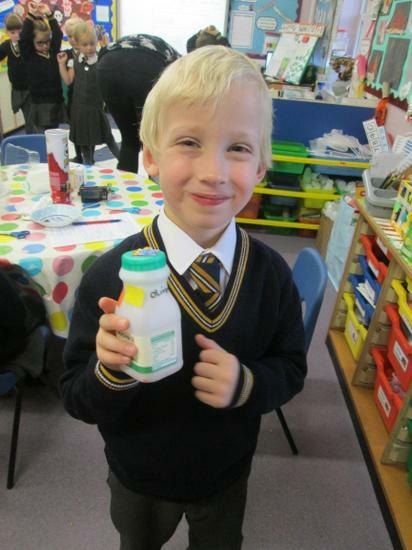 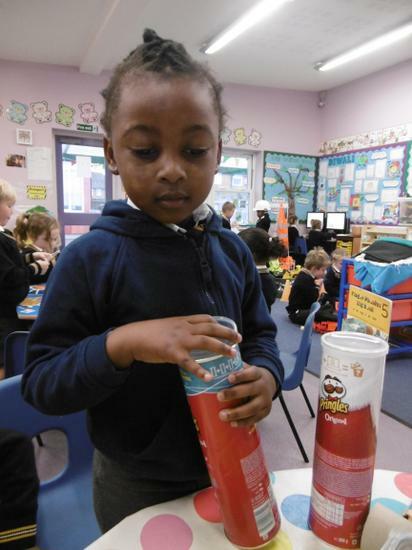 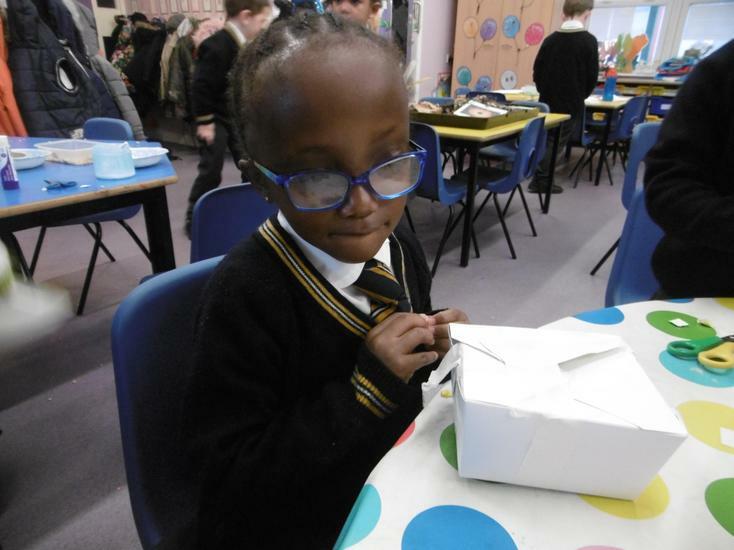 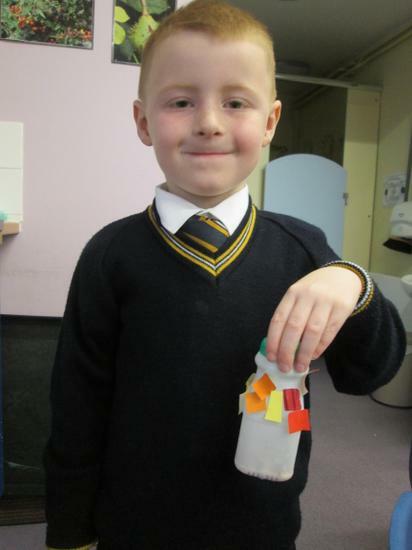 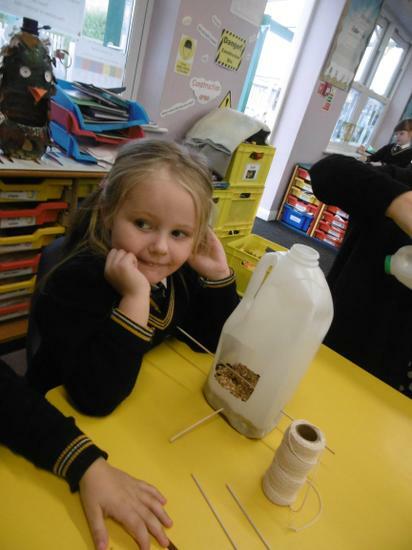 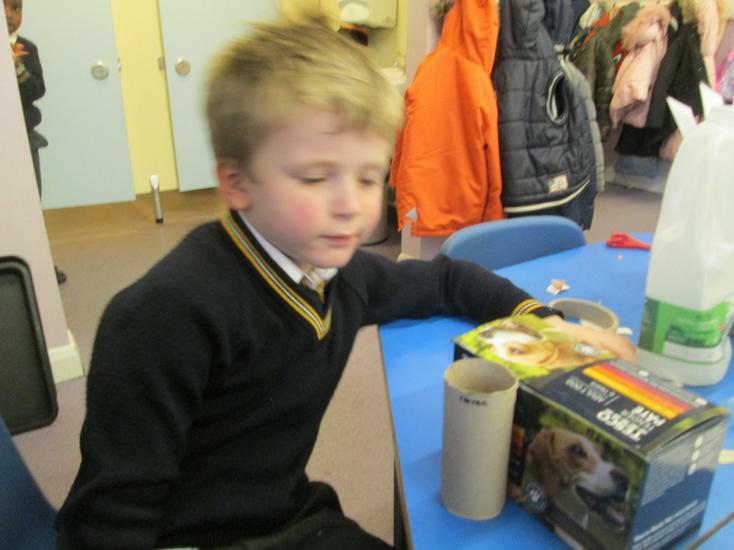 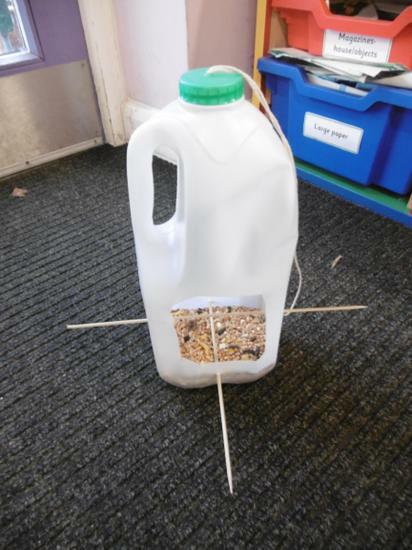 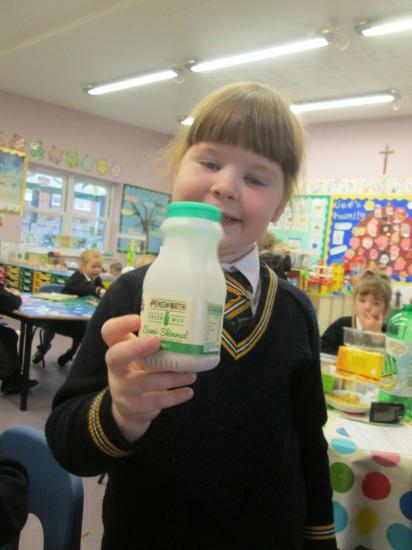 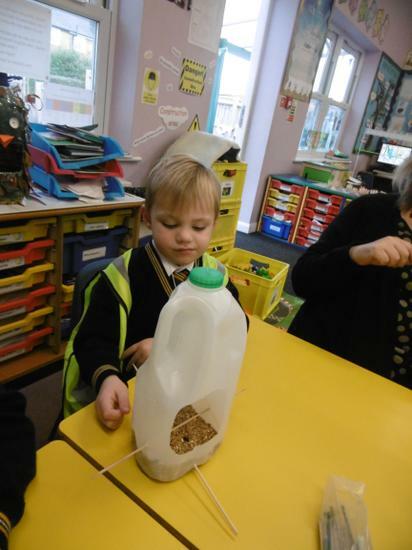 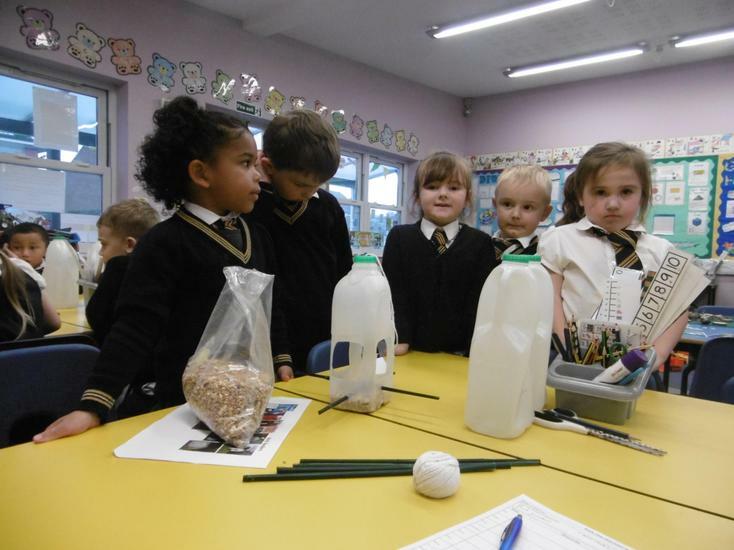 In small groups, the children then worked together during an adult led activity to make bird feeders, using a plastic milk bottle, doweling, wool and bird feed. 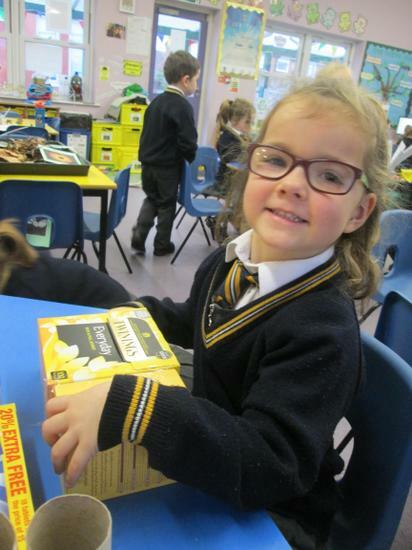 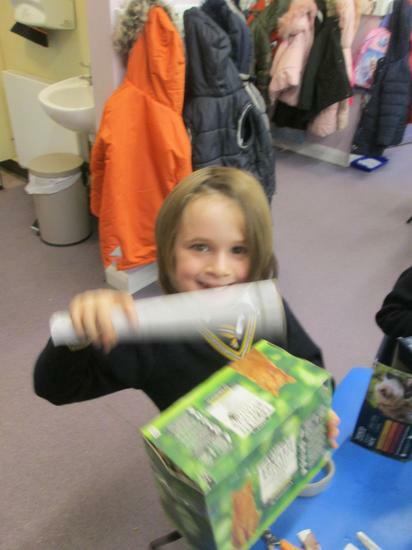 The children were excited throughout and can't wait to have their bird feeders hanging up outside the classroom to see the birds get their food! 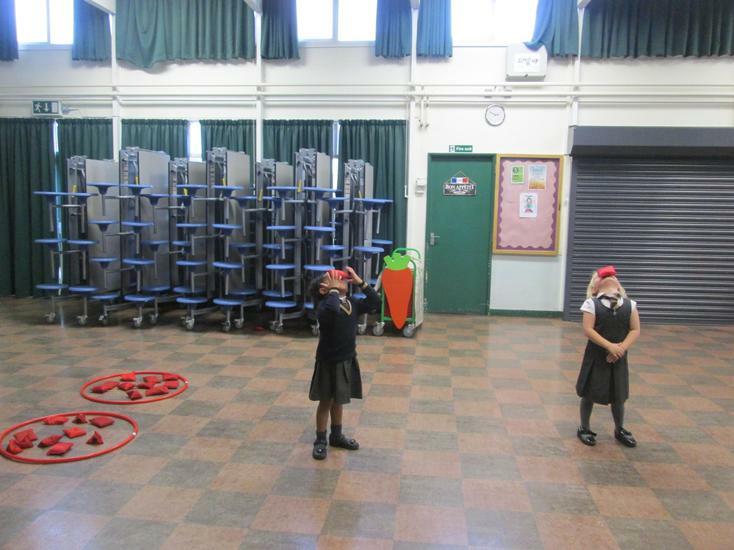 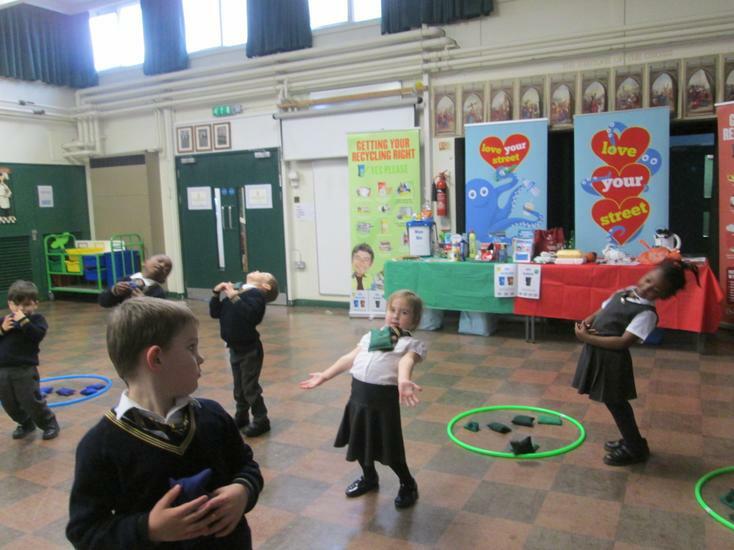 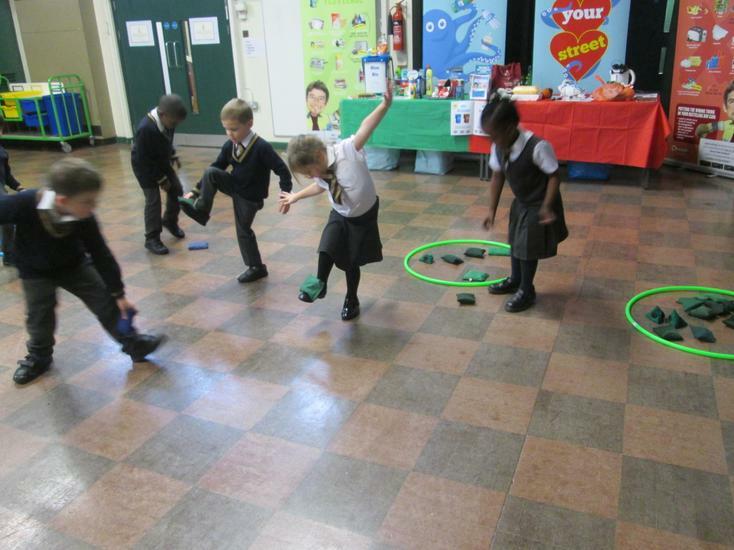 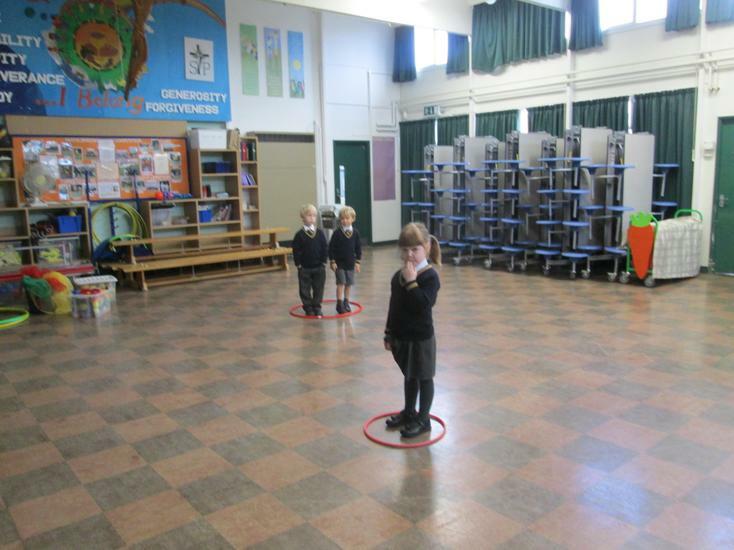 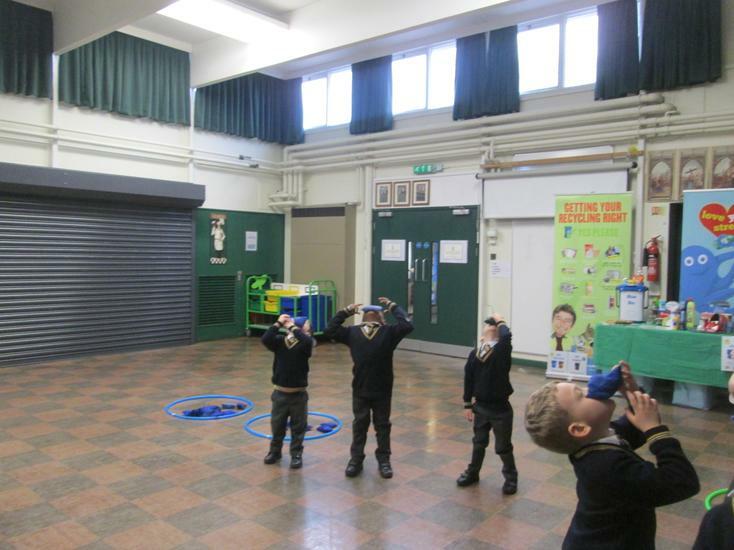 After the class listened to the story of the 'Messy Magpie', relating to recycling and litter; they all took part in some physical games in the hall. 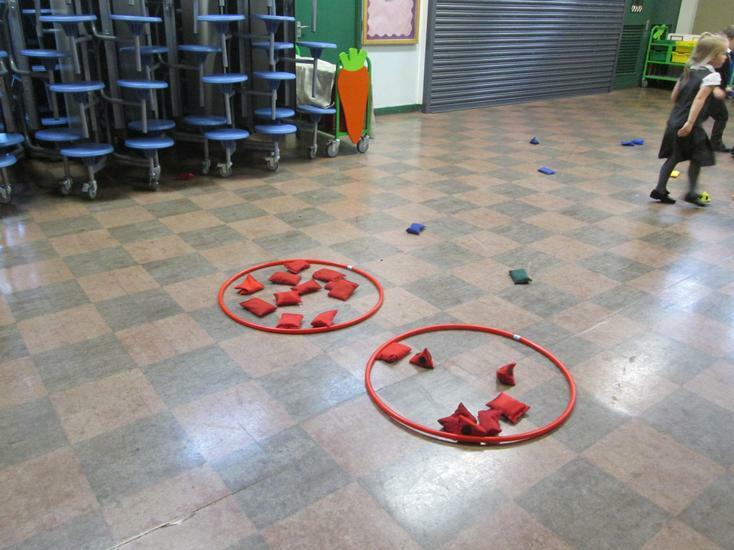 Beanbags were used and spread on the floor to represent litter. 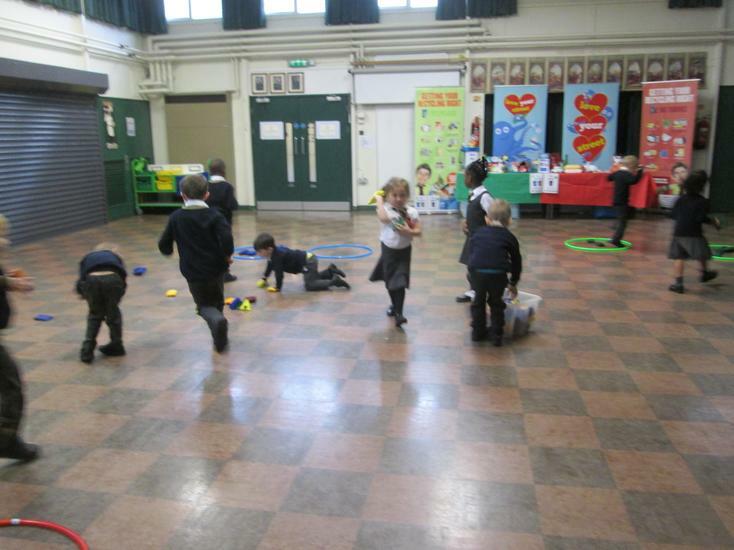 The children then had to race against each other to pick up the beanbags as quickly as possible and put them in hoops. 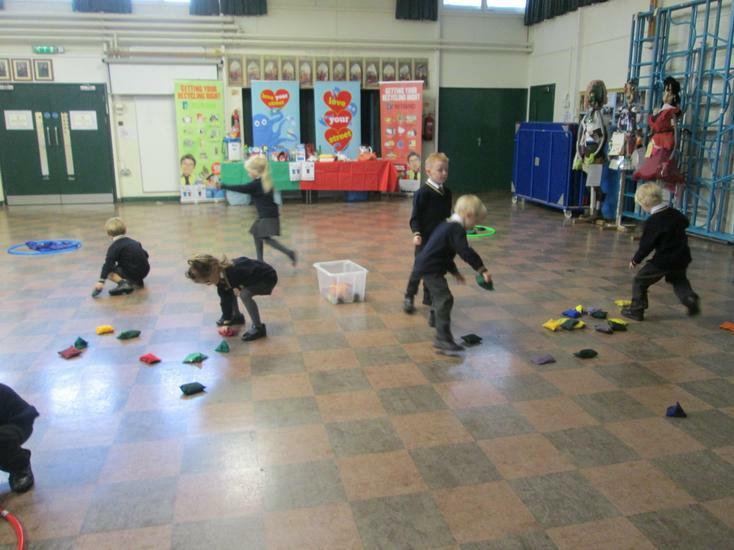 The children then thought about different recycling materials and had to work in teams to put the coloured beanbags in the correct tubs for plastic, cardboard and paper. 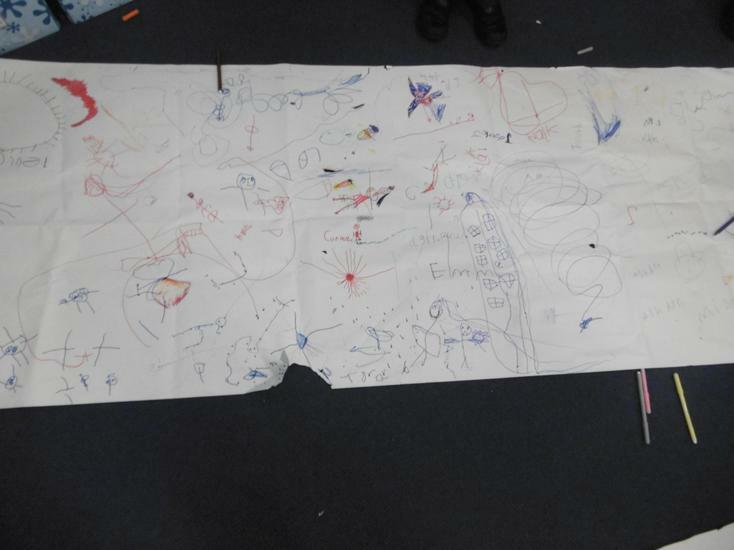 The team who completed it first were the winners! 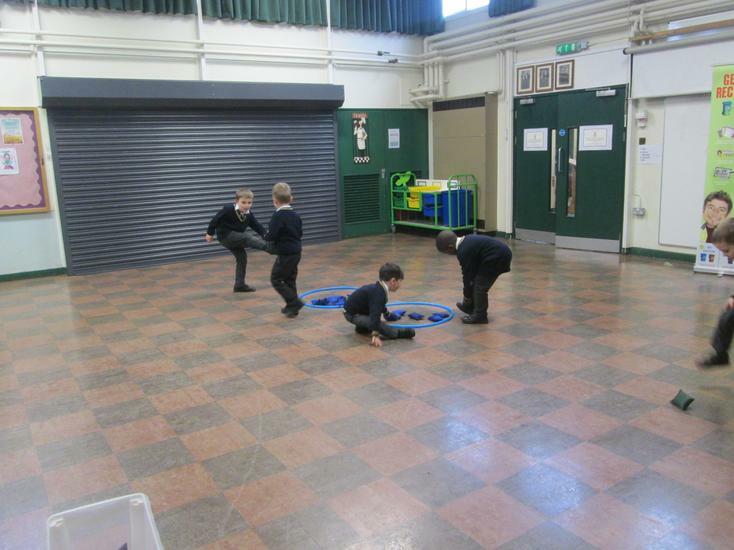 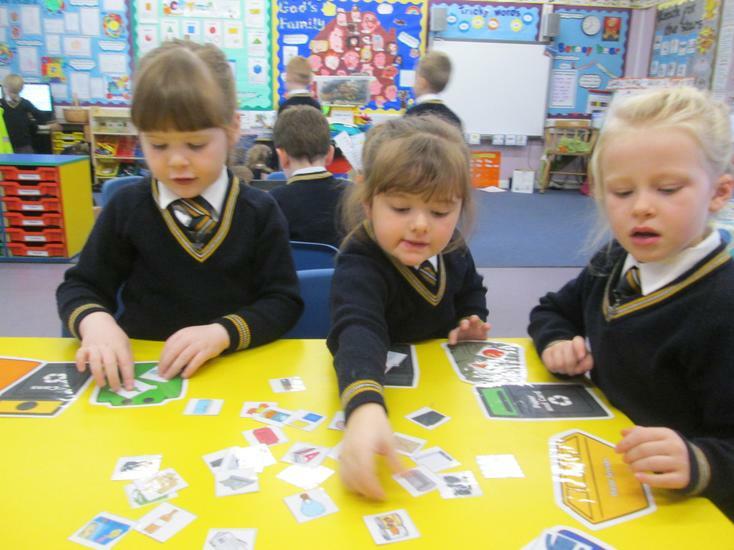 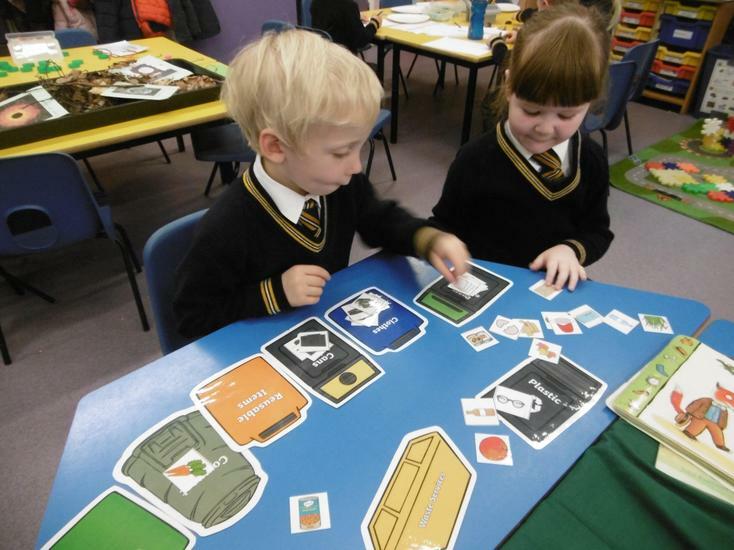 The children showed good listening skills, spatial awareness and team work throughout this activity. 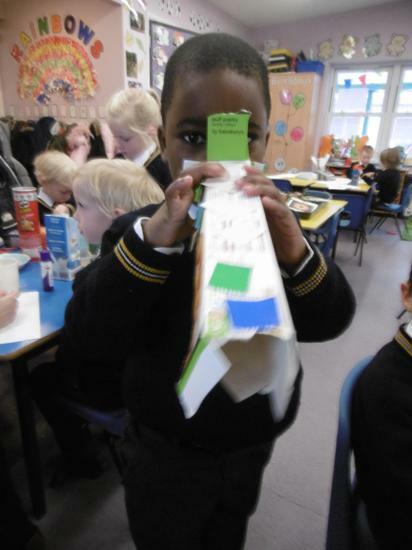 After listening to the Messy Magpie story, we sang a song about recycling and decided to make musical instruments from recyclable materials. 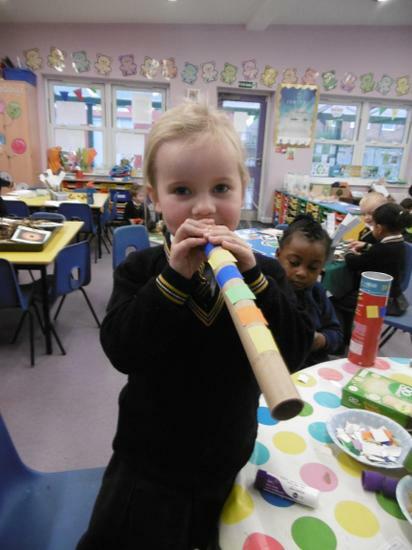 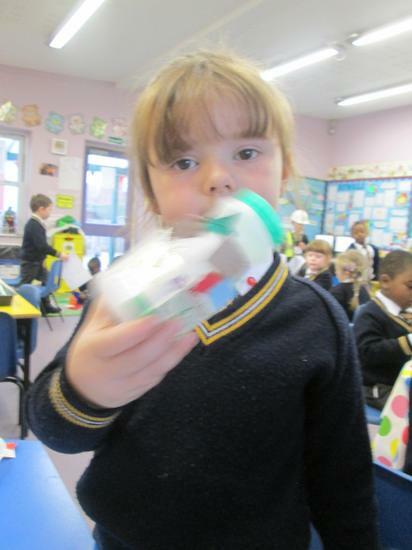 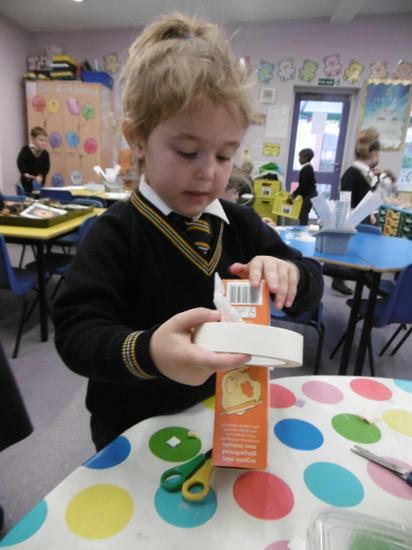 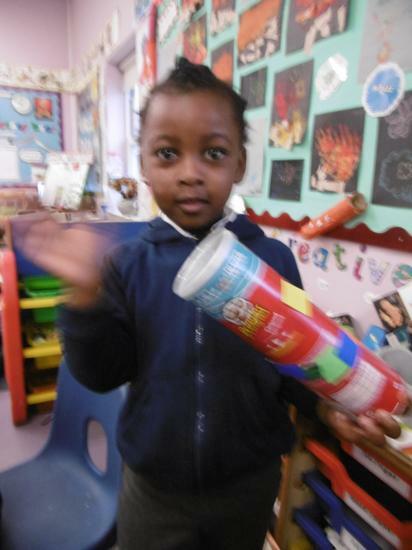 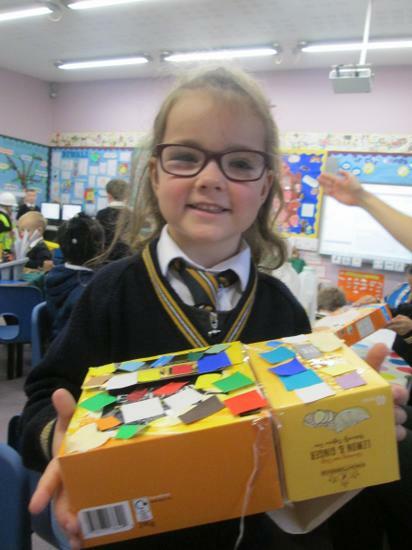 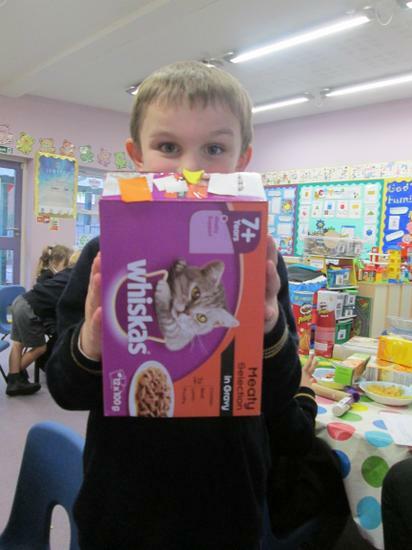 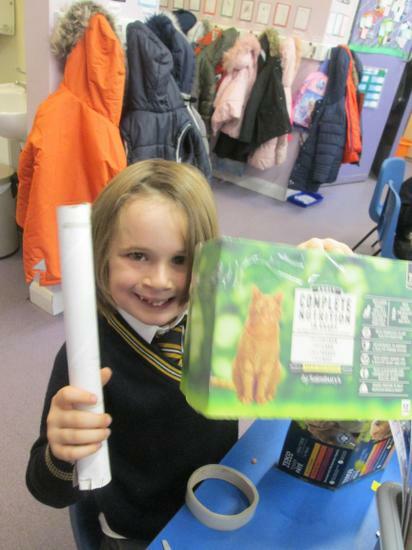 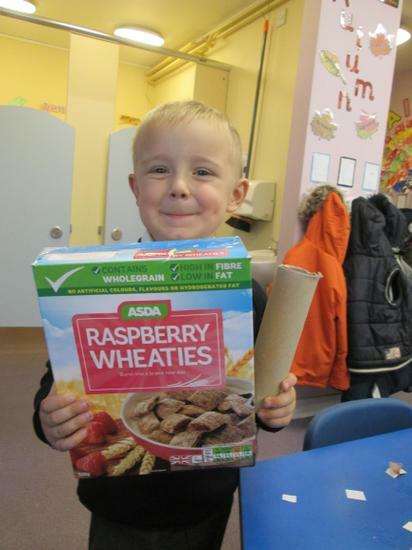 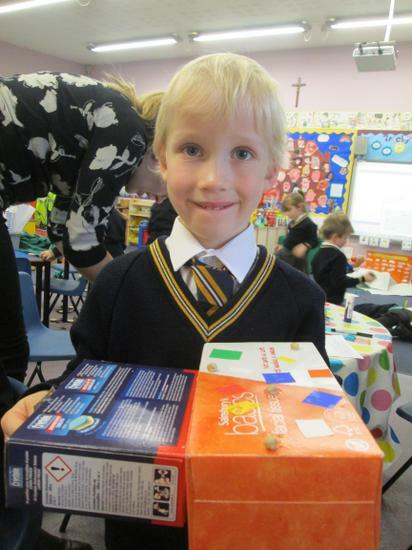 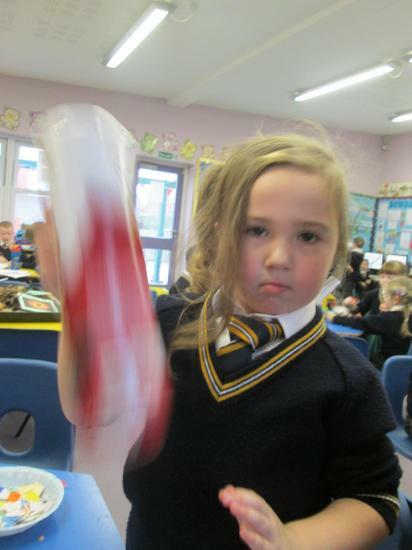 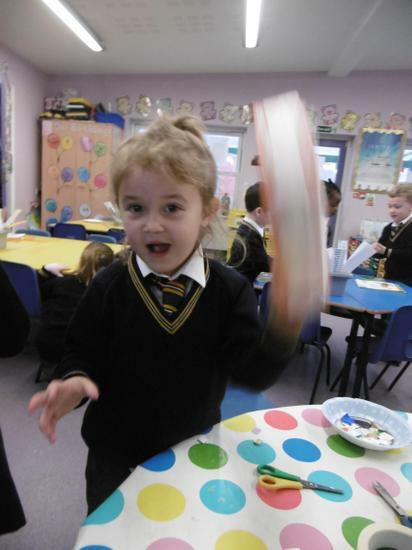 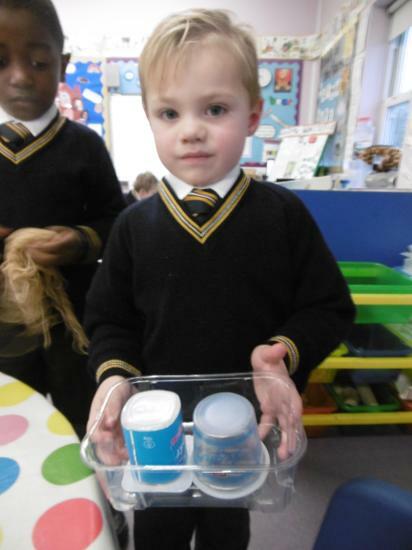 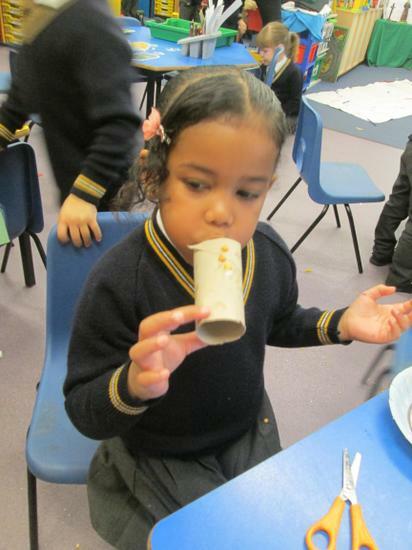 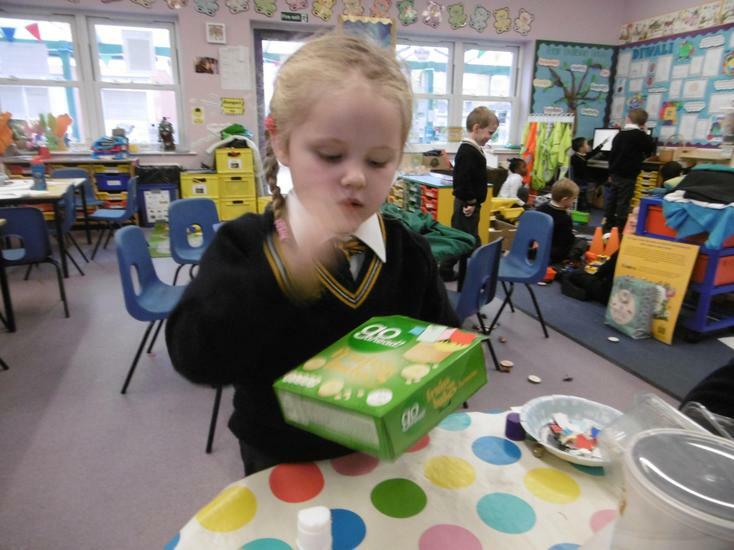 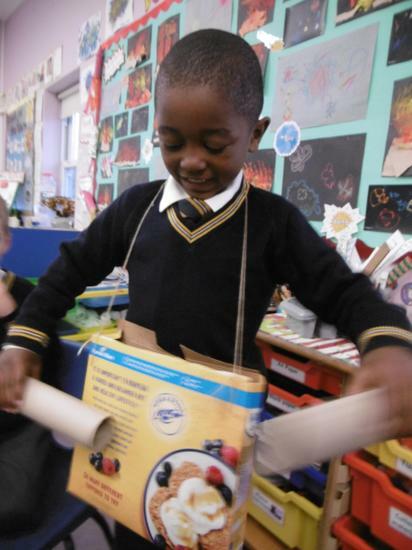 We made drums, tambourines, whistles and shakers using bottles, cardboard boxes, tubes and scrap paper.